Purchasing a home is an exciting process! However, it can become very stressful and even discouraging if you don’t have a great lender to help you obtain financing. We want this experience to be a great one for you. We have seen numerous buyers experience serious problems, such as closing delays, additional moving expenses, construction interest, unnecessary stress, canceled contracts and other headaches because they selected a lender unfamiliar with new construction. As a result, they were unable to close the loan in a smooth and timely manner. Even when the lender is a close friend or family member, this is all too often the case. When a contract is canceled, it can cost you thousands of dollars. It is essential that you have both a competent and qualified lender in order to prevent heartache and frustration. Throughout our 38 years in the business, we have worked with many different mortgage lenders, but one company that we feel is supremely capable to close your loan stands out above the others. That is Academy Mortgage. We have had our trust in Academy Mortgage for over 10 years. 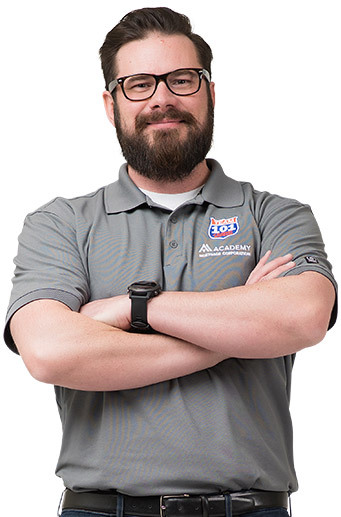 Academy Mortgage Team 101 has over two decades of experience helping individuals attain home ownership through solid financing solutions. Based in Utah, Team 101 is well versed in the financial world and is very familiar with our unique market. They have a working knowledge of how new construction should be handled when it comes to loans. Team 101 is also a direct lender, meaning all loan processing, underwriting, closings and funding are handled locally, which helps loans to close as quickly and efficiently as possible. They also know and understand Bach Homes and our procedures. We have total confidence in Team 101’s ability to give you competitive interest rates, excellent service, and an on-time closing. Team 101 is focused on making every effort to find the best loan program and pricing for your unique situation. Using our featured lender will make your experience a success. It is for this reason that we offer a featured lender incentive.